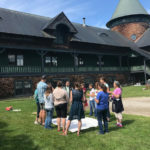 The 2017-2018 Northeast Farm to School Institute kicked off with a retreat at the beautiful Shelburne Farms in Shelburne, Vermont during the last week of June. 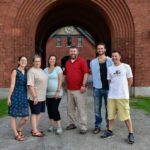 The institute is a unique year-long professional learning opportunity for twelve school teams from New England and New York. Two of our staff at the Food & Health Network, Erin Summerlee, Director and Christian Dirado-Owens, Program Coordinator had the opportunity to attend the retreat as part of a Johnson City School District Team. They were joined by their fellow team members Adam Frys and Jane Halladay from Johnson City School District, Bryan McCoy of Broome Tioga BOCES Food Service, and Kelly White from Cornell Cooperative Extension of Broome County. 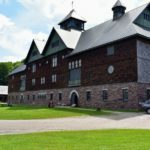 Christian: Shelburne Farms is a very beautiful place, it provided us with a space for our team to come together and also gave us many resources and questions to bring back to our farm to school work. It took us away from our daily work responsibilities and gave us a place where we could be free to focus on exactly what we wanted to achieve. Overall, it was really helpful for us to connect and talk with each other about farm to school and made us feel comfortable moving forward with programming and asking team members to work toward a vision. It was a really good communication builder for the team, and left us with a sense that there are a lot of things happening in other places that gave us an optimism of what’s possible. Erin: It was really a space away from our work responsibilities to come together as a team, not just those of us who always work together on the school foodservice and nutrition education side of things but different key people within the schools. 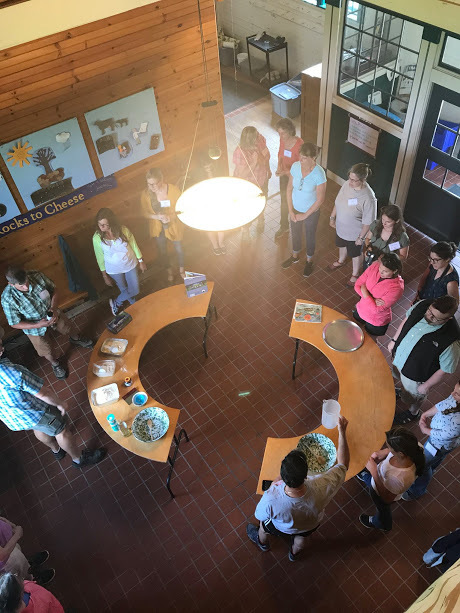 It was a mix of group time where we could dig into developing our own action plan for the following school year and then learning opportunities and workshops where we could hear from farm to school programs across the northeast and the country. We also had time to plenty of free to time to meet new people and informally learn from the different school teams. In the end we came up with an action plan and a vision statement for the Johnson City Farm to School Program and are excited to put it into motion throughout the year. 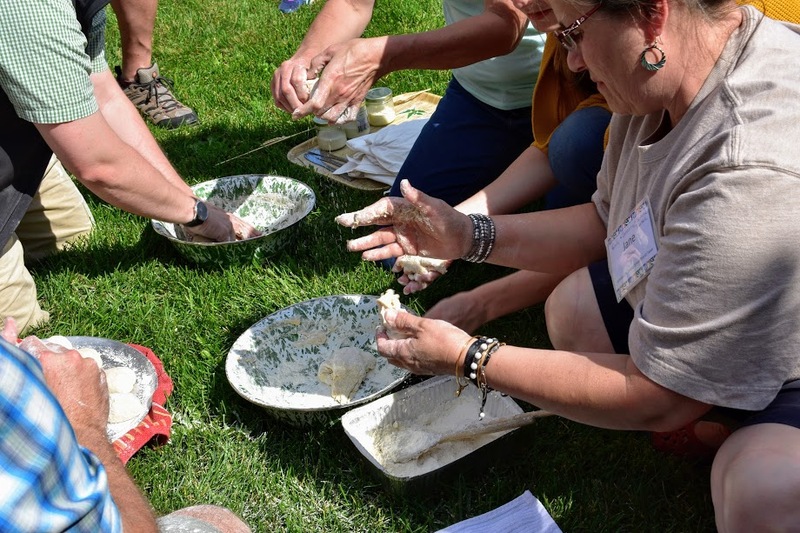 What are some takeaways from the Farm to School Institute that you are going to incorporate into your work? Christian: For me, it’s how I’m going to approach planning for farm to school programming and the coordination piece of it. I want people to be on the same board, working on the same programming, and working on the same schedule. The biggest thing for me is just learning what is possible in terms of planning and coordination. Fleshing out what exactly that means and who is responsible for the different steps in that process. Erin: One major takeaway is that we now have an action plan, and there are so many pieces of that plan that were influenced by what we learned at the institute. Each day of the institute focused on one of the three C’s (classroom, cafeteria, and community). Moving forward, for us to have a strong and sustainable farm to school program at the school district level all of those things need to be represented. It’s not just about what we think would be a great new addition to the menu. We really need to take into consideration all of those different aspects in the work plan and sometimes different priorities will emerge. There was also a lot of emphasis on youth involvement and youth leadership and we are looking at ways to incorporate that into in our action plan. One idea that emerged was to have students from the high school involved in the taste tests. Kelly: One of the big focuses from the institute/conference is learning what local is. Working on the Smarter Lunchroom Redesign initiative this is something that I plan to incorporate into my work. While working with the food service managers, sharing with them the ways to educate not only the children but also the staff about ‘local’ food – the freshness of it, how it supports the local economy & farmers while using different methods that are interactive for the children to see (i.e. meet the farmer). Another takeaway that I want to incorporate into my work is the opportunity to include farm to school in the school wellness policies that I assist schools with. Incorporating the ideas of nutrition guidelines, nutrition education, and nutrition promotion and marketing through the Whole School, Whole Community, Whole Child model ties Farms to School and School Wellness policies nicely together. 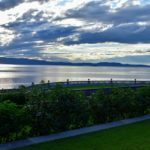 Do you a favorite part about your time there? Christian: My favorite part was what we did for the action plan. The space they provided us in between the activities and programming that enabled us to come together and talk about them. The food was also always good. Erin: There were two things that I really enjoyed. One was curbside consulting, where people who were experts in different topics areas or from different agencies were present, and you could go around and ask them questions. It gave us a chance to talk to people who you heard in a presentation, and were then able to ask them about it more in depth. The second piece was a session where we presented to groups on pieces of our action plan and people who weren’t from our team asked questions and provided comments. I found a lot of value in getting feedback from the other groups. Jane: My favorite part of the Farm to School Institute was developing new connections in our local community with other professionals interested in improving the quality of food our students have to eat and getting a plan in place to implement projects that will get students involved in growing and eating local products. The location was also wonderful and inspiring. 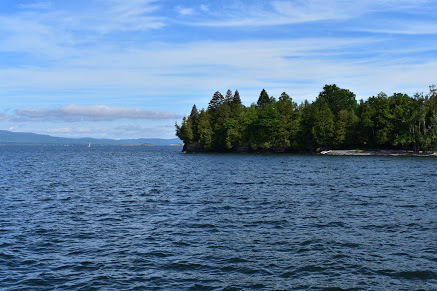 After experiencing the institute in Vermont, how do you think this type of program could benefit other New York schools? Christian: I wish every school that wanted to develop farm to school programming had the opportunity to come and develop an action plan. Farm to school is so big that it can have the same amount of work done in every school district, the same amount of initiatives and would still be a complete process that would take time and energy. Erin: They did such a good job of putting together a huge amount of information and resources. 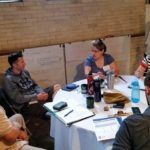 Having that space to develop your action plan is really important and the retreat is one part of it because it takes people out of their normal work environment and gives them a chance to problem solve, build relationships and become a stronger team. Beyond the retreat, the model of having year long coaching after you develop that action plan would be so beneficial to more schools in NY. Without the follow up and support of a coach it would be much easier to let the action plan sit when the school year starts. Having that coaching and year long professional development really helps keep momentum moving forward. Even in the region we work in, there are so many schools that could benefit. It would be amazing to go back every year with a different school team. So, to have it in New York and have it open to more schools in our region and state would be really beneficial. Christian: It also would bring more cohesion to farm to school in New York. School districts would know about support and resources available for farm to school at a state, regional and national level, and might move forward more projects on their own. Erin: NY is so large in comparison to many of the Northeast states with really strong statewide farm to school programs, and having a Farm to School Institute in NY would really help build a stronger network of farm to school programs across New York and it would be a chance to learn from what our neighbors are doing.